We help home sellers, buyers, and owners by focusing on four key elements of thorough and successful home inspections or repairs — integrity, quality, communication, and customer service. In being dedicated to providing the highest level of satisfaction to all our clients. Whether you are purchasing a new home, selling a home, or need to maintain your home, you can feel confident that Bsure Home Services will provide the quality, expertise, and honesty you are looking for. Here are just some of the services we provide. Read and explore 'More'. The most common type of inspection in the US. Feel safe and secure before purchasing a new home. Having these inspections are beneficial for a successful home sale, and can offer several benefits to the seller. Reputation is a realtors most valuable asset. Home inspections help to build trust between the realtor and clients. When it comes to Home Inspections, we make it our mission to provide peace of mind and security. At Bsure Home Services, we are committed to you, the client. You will receive a professional and thorough review of the condition of the home you are buying or selling. We are a family business that values each client and the opportunity to build a relationship with them during and after the inspection. And we firmly believe each client and inspection is unique and should be handled with great care. 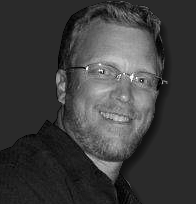 Hello, I'm Brad Steinhoff, the owner and operator of Bsure Home Services. With over 15 years in home repair and maintenance, as well as being a certified Home Inspector, I stand behind all our work. Customer satisfaction really does come first with Bsure Home Services. If you're looking for a company that takes pride in providing their customers with high quality services, contact Bsure Home Services today. We're waiting to support your home inspection or repairs needs.